Characteristics : Tabletop to be screwed following the instructions + 2 trestles - Tabletop screws on trestles (supplied screws) - The tabletop has to drill by yourself following the instructions. 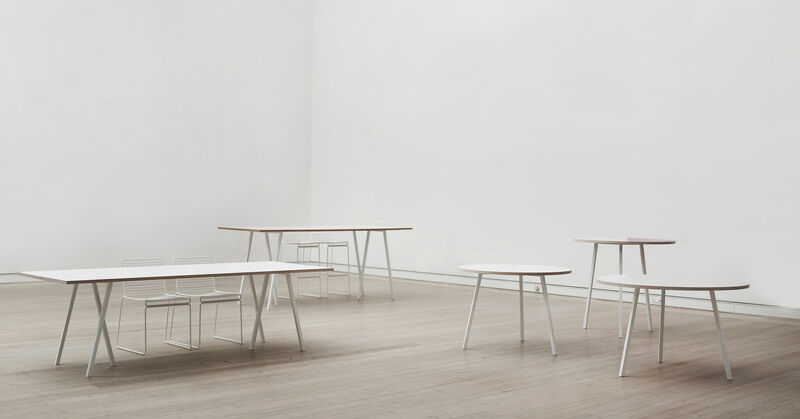 Loop table is characterised by two lacquered steel trestles in a form of classical easel. 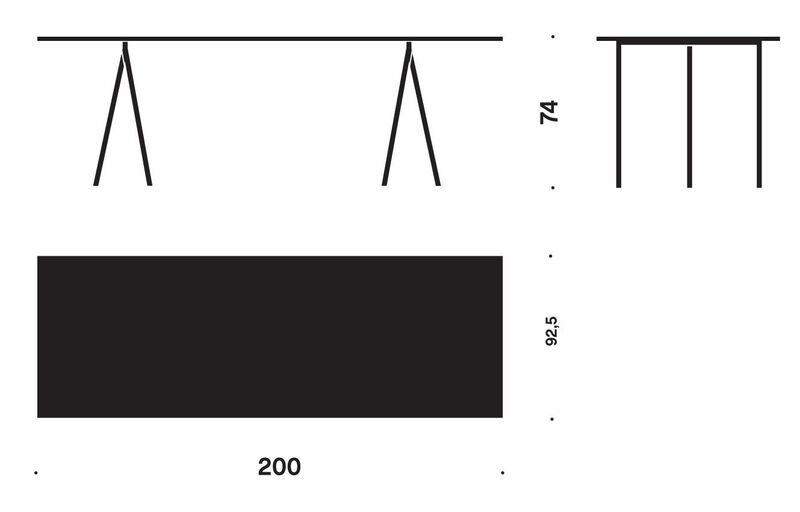 We just love the clean lines and the simple and graphic design of these tripod legs! Moreover, this special form allows you to sit down around the table corner without being disturbed by the table legs! Smart, isn’t it? Another characteristic of this table is the combination of materials. 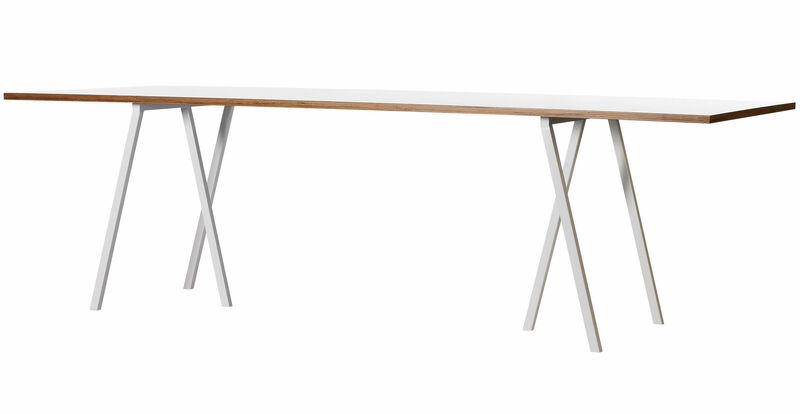 The white laminated veneer and the wooden edge of the tabletop make a nice contrast. 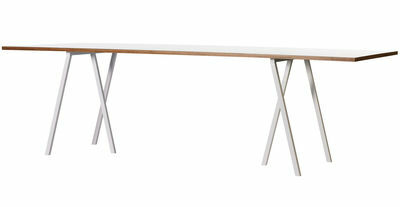 Loop table will look great in living rooms or offices. Loop table top is available in two different sizes, 180 x 87 cm or 200 x 92 cm, and in two colours: black and white.